Does your Access database showing “3146 – ODBC Connection Failed” error? Looking for the fixes to resolve this issue? Then just go through the complete post and get the best resolution to solve this. The “3146 – ODBC Connection Failed” error message displays as result of faulty network connection. 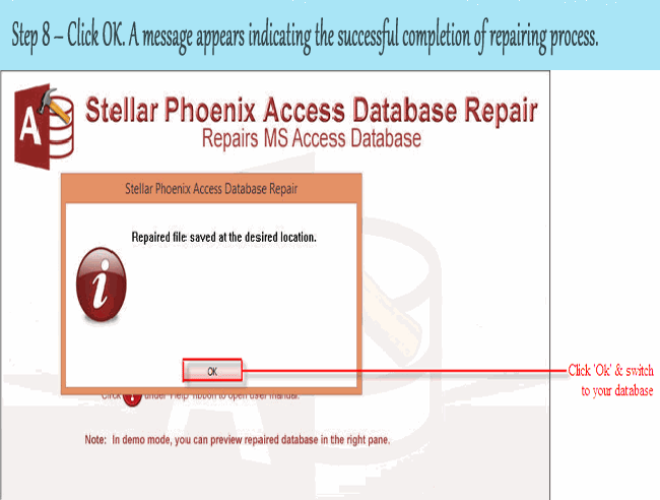 This error might occur at any point within database when setup and associated to database on additional PC. Most common alternatives are either faulty network card, or SQL will terminate connection after 30 minutes of inactivity for security reasons. If you’re receiving error without program and database sitting idle for more than 30 minutes, then you must contact IT professional so as to make certain that your network connection is setup and operating properly. This run-time error occurs at the time when system has any issue with the software and hardware components. The main reason for this error is to take place is when a system gets corrupted in Windows OS. 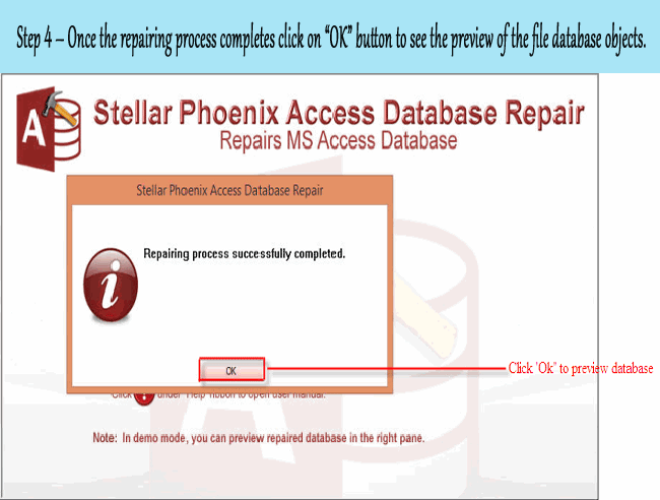 This article will be guiding you to get rid of odbc call failed error 3146 in MS Access using manual method and even a fully automated solution. 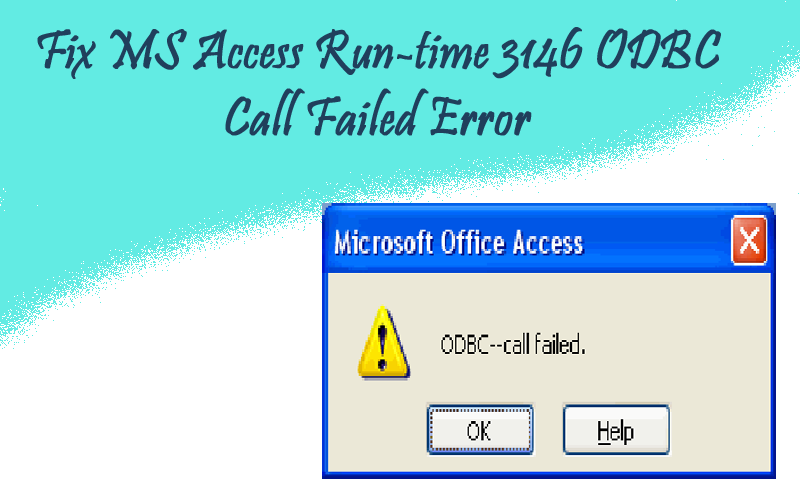 Moreover errors that take place regularly in relation to Access error 3146 odbc call failed, will too be sent. What is Run-Time Error 3146? When Microsoft Access tries to enter the SQL Server 2000 database with the help of ODBC connection it displays an Error 3146- ODBC Call Failed. The database has been set as source of data for the system with driver of SQL Server. Hence on launching the .mdb application database could be attached and results are fetched. But while populating data on combo box, it shows odbc call failed error 3146. This error report is actually the hexadecimal format of the error code that’s generated. This is frequently brought into usage by the MS Windows along with additional compatible software and drivers. In some cases you may find superfluous constraints into the 3146 odbc call failed Access error. The further letter and number code are addressed onto your storage fragment where all instructions are being saved at the time of happening of this error message. 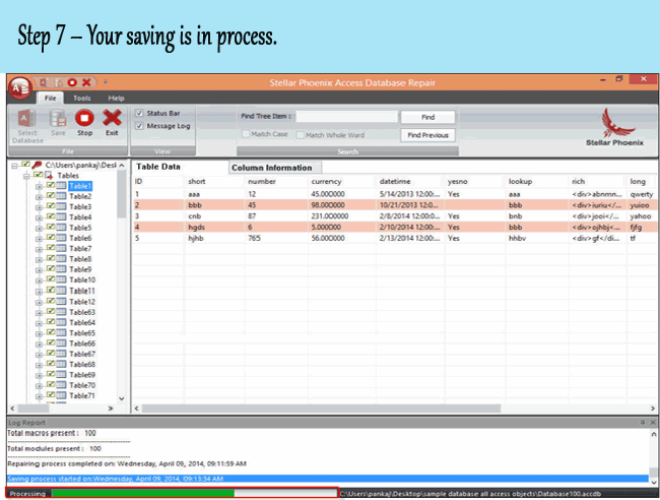 Cause for Run Time Error 3146 ODBC Call Failed Access error code? Some well known reasons for the cause of this error include fragmentary installation, erasing fractional file, inappropriate removal of equipment and software. Even attack of some malicious program like Trojan or other virus like spyware or adware could lead to this hectic situation. And these entire instances are sufficient for deleting or corrupting system files of the Windows. 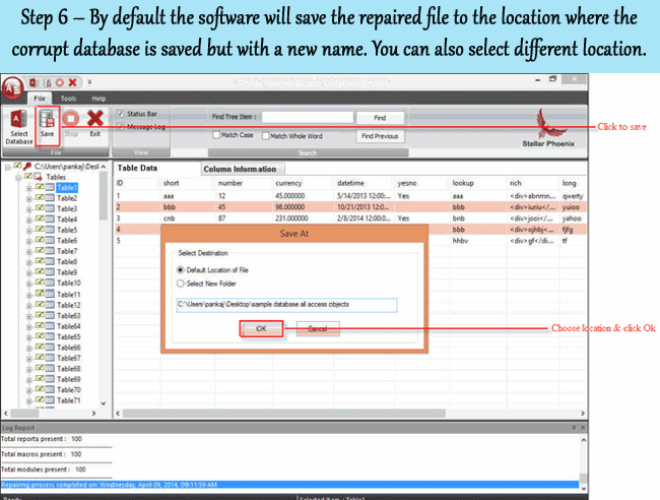 Damaged file will let you in wrongly and missing linkage of details and data files that are vital for the program to function correctly. Method 1: To fix this issue it is advised to remove the ODBC 1.x Driver Manager (Odbc.dll) and replace it with ODBC 2.x Driver Manager (Odbc.dll) in the primary path. Turn on your system and run as administrator. Go to start button and go for All Programs, Accessories, System, and after that opt for System Restore. Commencing subsequent screen, press “Restore my machine to a previous time” and then hit NEXT. Locate mainly present restore point inside the “select a restore date” list, and click Next after that. On verification screen of system click Next. When restoration is done, Reboot the system. If all the above mentioned solution does not help to fix this issue then I would suggest to opt for a third party tool that solve of any sort MS Access related error. 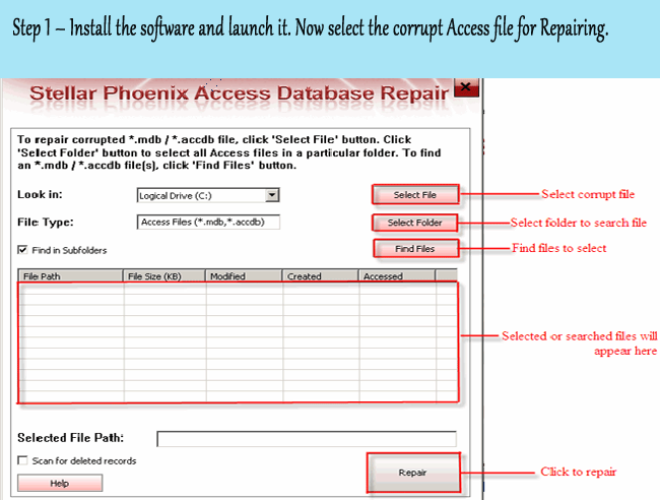 And the best available tool for this purpose is MS Access Repair and Recovery Tool. 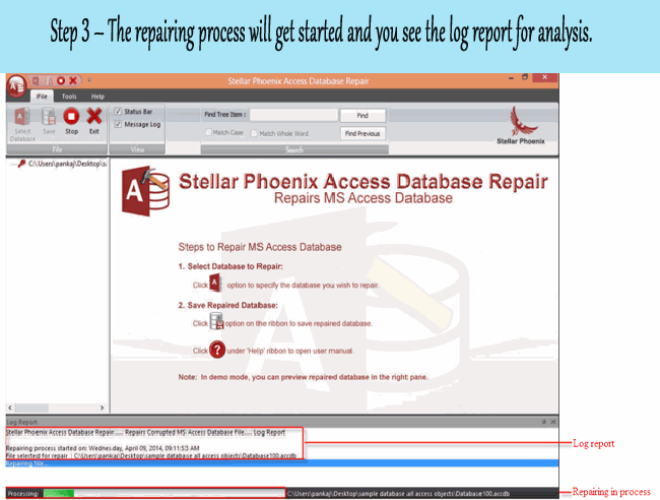 This tool is not only fixes errors but also fixes the .mdb or .acccdb files and recovers the data from your corrupted MS Access database. 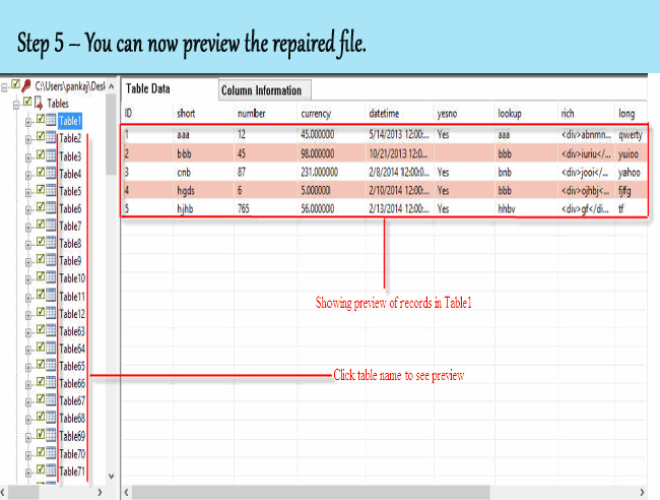 You can also restore the indexes, tables, queries and relation very easily by using this tool. 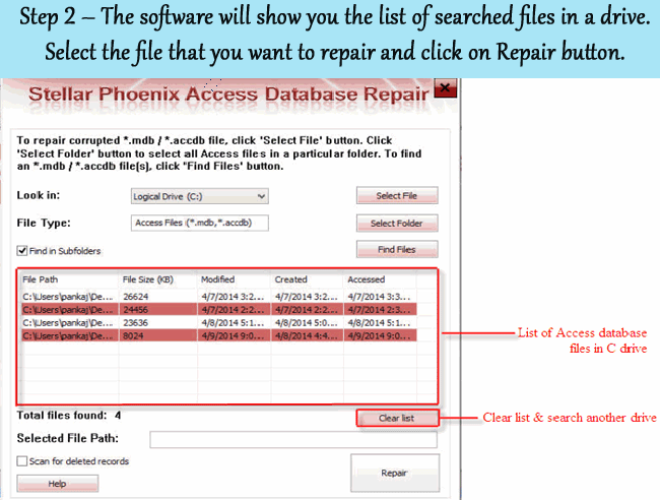 ← How To Repair And Recover Corrupt MS Access .Accdb File?